LinkedIn is one of the best sites for recruiting top talent. With 88% of users checking in at least once every week, LinkedIn makes accessing engaged talent easy. Using LinkedIn’s Talent Solutions, connecting and recruiting with ideal job seekers is even easier. Premium accounts give you and your recruiters full access to LinkedIn’s 400 million professionals. Here’s how to use Advanced LinkedIn accounts. When you’re on the search for mature decision-makers and serious pros–67% of users are between the ages of 25-54. Use LinkedIn as part of your proactive recruitment strategy. LinkedIn Recruiter and Recruiter Lite make it easy to track top talent and receive talent suggestions automatically based on previous searches and hires. Use the Update Me feature to stay on top of talent changes. Once you subscribe to a profile, you’ll receive all profile changes on your Recruiter homepage, making it easier to track top talent. 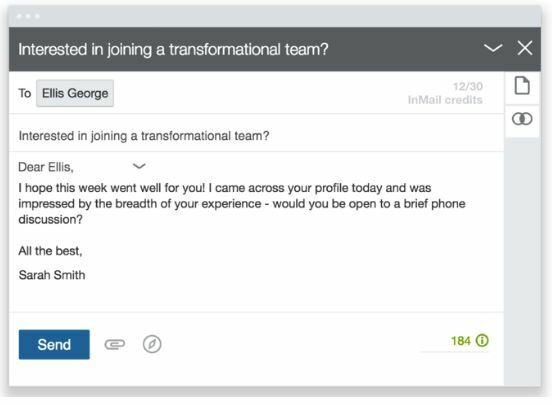 LinkedIn users can now signal to recruiters they’re looking for a new role, saving you time when seeking new talent for your pipeline. You and your recruiters can contact anyone–even 3rd-degree connections. LinkedIn Recruiter and Recruiter Lite are the only accounts that give you unlimited access to any of the 400 million profiles on LinkedIn. Create a personalized template for InMail messages–each individual account can send up to 150 InMail messages a month. 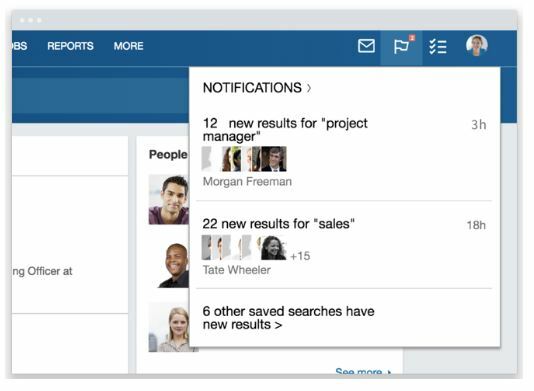 Advanced LinkedIn accounts automatically search and alert you to matching talent pool. You and your recruiters also get notified with smart search alerts when a candidate matches your search criteria, saving you time and effort. Balance promotional and educational content to connect potential talent with your agency beyond job listings. By sharing quality content, followers can turn into prospects. Share industry related content (40%), info on your agency’s talent brand (25%), and just for fun (5%) to offset company news and announcements. Balance promotional and educational content to connect potential talent with your agency beyond job listings. 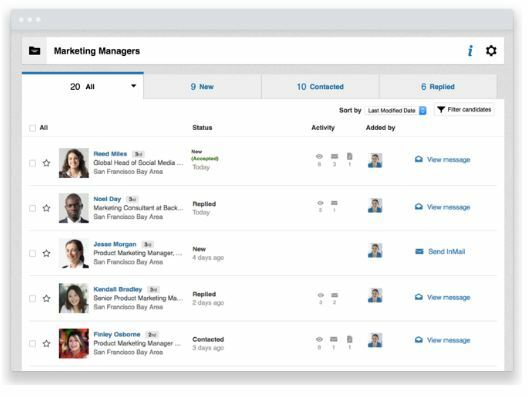 For streamlining your social recruiting process, LinkedIn premium accounts help track everything in one place. Having InMail, searches, and your talent pipeline viewable by your team in one place is a great way to reduce duplicate work. Plus, it helps fill roles more quickly. Recruiter and Recruiter Lite helps your agency with recruiter-focused features to make finding top talent easier. InMail is LinkedIn’s messaging tool. Profiles are an individual’s or company’s main page. This includes the profile photo, headline, summary, and professional history. A project is an overview of all your recruiting efforts in one place. A recommendation is a testimony from someone you have a professional relationship with. Located on the profile page, the summary is the best way to communicate the synthesis of you–work experience, passion, and personality. See who viewed your profile in the last 90 days. Just getting started with LinkedIn? Learn how to use basic LinkedIn accounts here!